Our recruitment policy has always and will always be based on the moral values of the applicants we meet. Team spirit, cohesion and enthusiasm are values that we so much want to promote within the group. 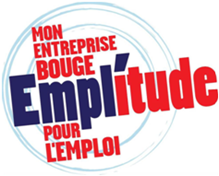 The Emplitude label rewards companies for their actions to promote access to employment, employee assistance and monitoring and the spread of good practice to encourage entry into the world of work. When we created Altersis, we wanted to adopt “Another way of looking at service». Having a thorough understanding of the business world in the digital sector, we wanted to stand out from our competitors by offering recruitment based on sharing strong human values. In fact, we consider that, in our business, our employees have to be ambassadors for our company and that, if they share the same values as us, customer satisfaction, just like theirs, will be all the greater. The Emplitude label is therefore fully consistent with the human strategy in place throughout the Group, demonstrating how it differs from other companies in the market. The Happy at Work label values the companies in wich employees are happiest to work. Notes come exclusively from employees via an anonymous survey. The evaluation is based on 6 criteria : Professional Development, Stimulating Environment, Management, Salary & Recognition, Pride, Pleasure & Fun. From the beginning of Altersis in 2008, we wanted to distinguish ourselves by offering recruitment based essentially on our human values and making them feel at home with us. We want our employees to be ambassadors of our corporate culture. The Happy at Work label represents our philosophy. It’s therefore natural that we have chosen this label to highlight the “Happy” face of our employees.